Sector eighty-six is where they string the stations out wide, they let the signal ping late. No up-to-date quantum casters there, they use the old scatters and deal with the port collisions. It’s a place where you just can’t make that much money, because all the opportunity is passing through. It’s a sector scarred by a history and still being picked over by Corporate powers. Because you pushed your luck too far at the wrong time. Now you’re listening to the scatter, trying to turn a profit, hire the right people, build your junky little space-port up until it actually can deal with some of these problems. 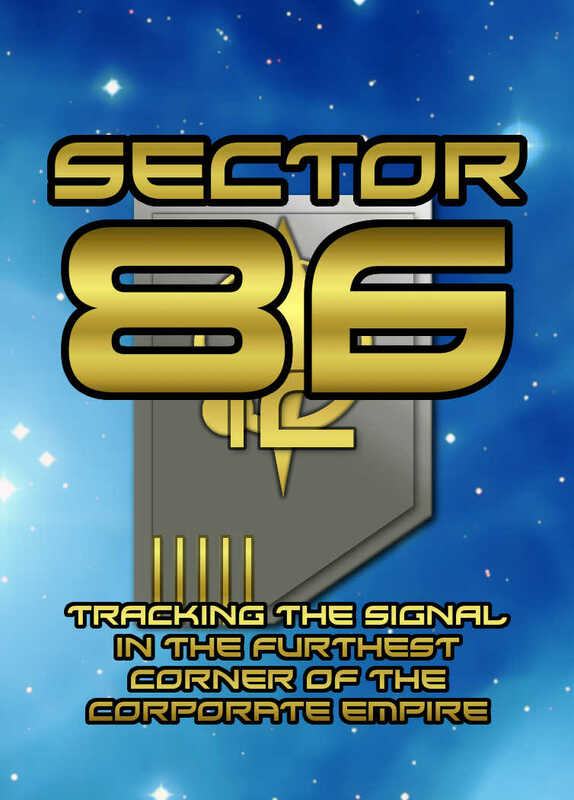 Sector 86 is a single-deck economic game of managing the docking fees, development and crewing of a remote space port. You’ll invest in building your own spaceport up, hiring mercenaries to live in it, repair wreckage, trade with pirates, and even deal with your own paymasters trying to scrap your space port out from underneath you. With a simple turn structure that yields varied, interesting decisions from turn to turn, Sector 86 is easy to learn, easy to teach, and provides remarkable depth and replayability. 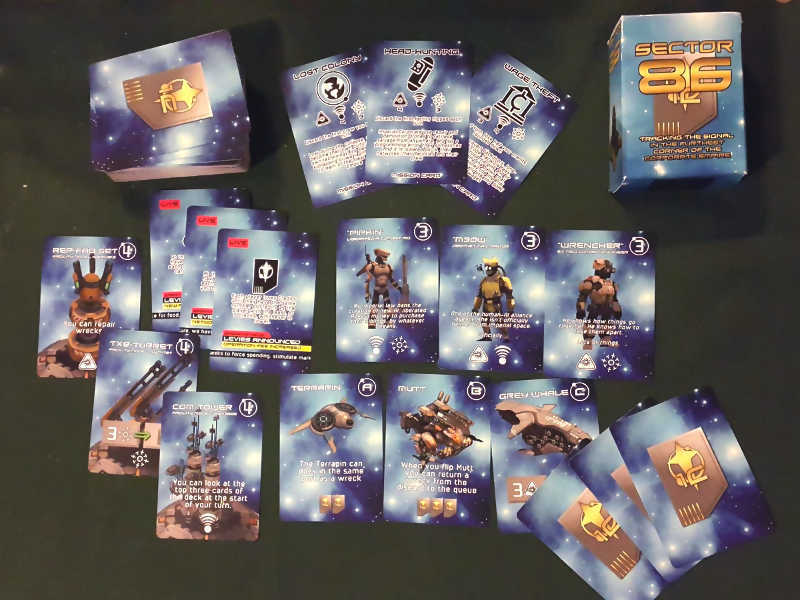 A copy of Sector 86 includes just one deck of cards, which is everything you need to play. To play Sector 86, players are going to need some flat area to play. You do need to be able to shuffle the deck of 120 cards reasonably often. Players need to be able to pay attention during new players’ turns. Want to Buy Sector 86? For international customers, you may prefer to buy print-on-demand via DriveThruCards (the same printer we use for our local stock). 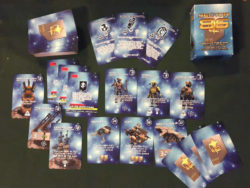 You can buy Sector 86 at DriveThruCards as a professionally printed card deck, in a fancy cardboard tuckbox. Already bought Sector 86? Download the latest revision of the Sector 86 rulebook. You can also follow us to receive notifications of rules updates!